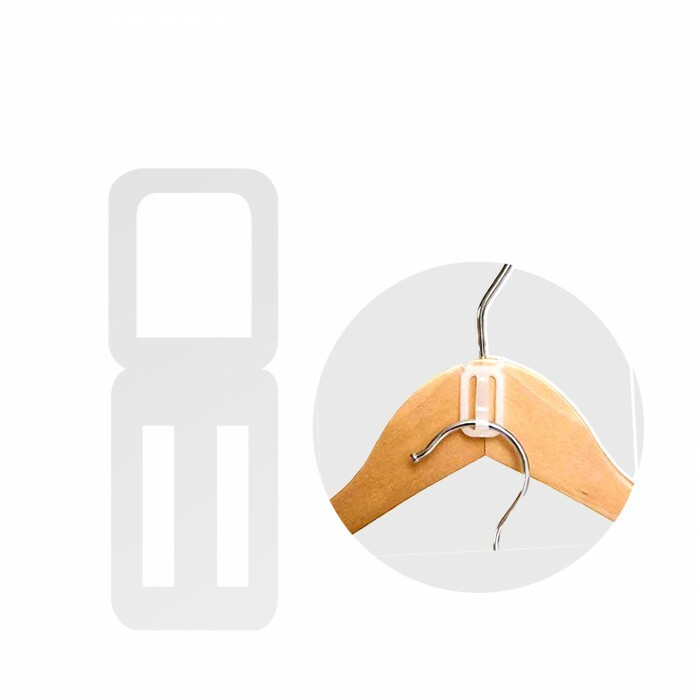 Hanger connectors are ideal for combining garments. For example a suit jacket and trouser or a bib and babygrow. Simply place the connector over an exitsing hanger hook and push the additional hanger through the opening. This short connector is ideal where close connection is required. We also sell a longer connector. Please see item 187094.